They say that a little black dress is a must-have for any woman. We say let’s go the extra mile and add a little body support while we are at it! 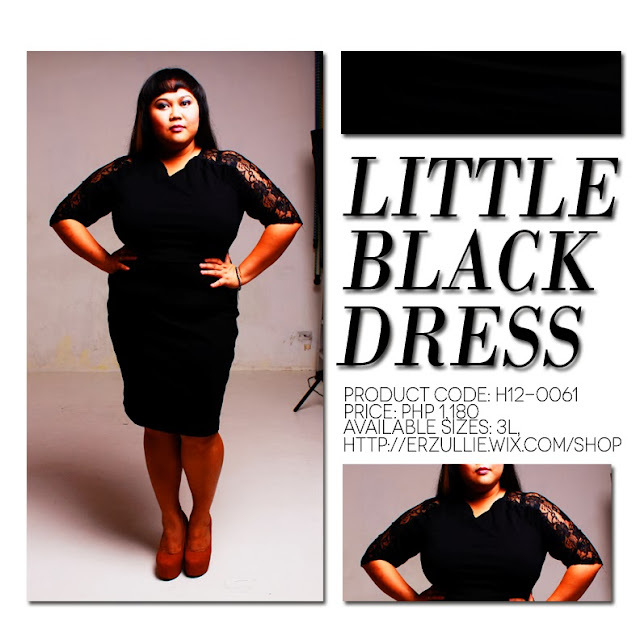 This plus size little black dress has a form and fabric that will help support your curves, creating a smoother and sophisticated aura for the Erzulliesta. So for those who wants to look more polished and classic, this dress is it! 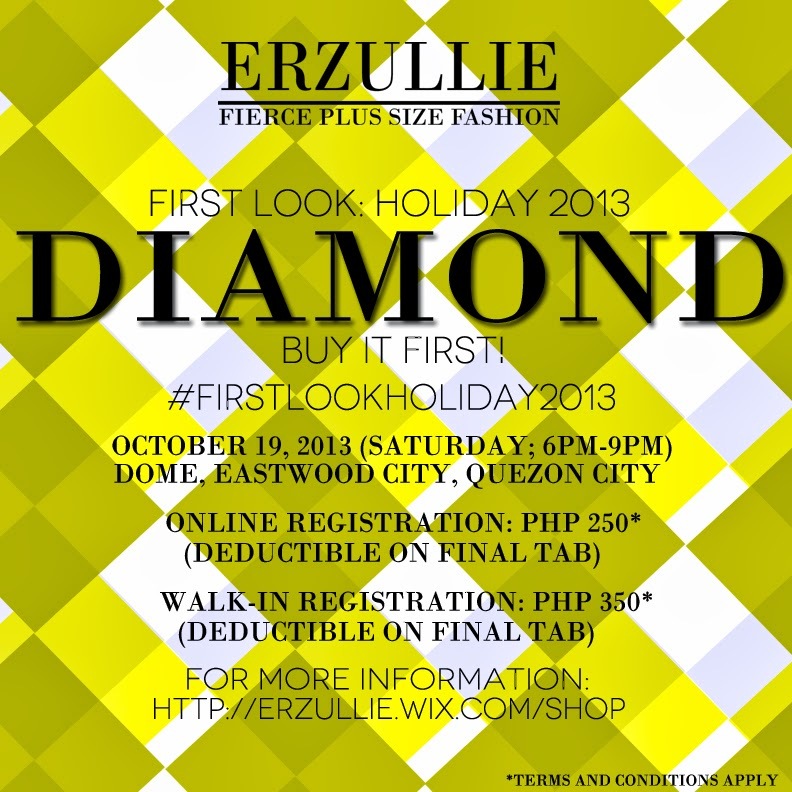 We are happy to know that Erzulliestas are starting to register for the #FirstLookHoliday2013 event! To make it even better, here is reason no. 5 on why you should register online for the event! Each design is only 8 pieces in existence and you know how Erzulliestas are when it comes to shopping some fierce plus size pieces! The event will give you the first dibs on the items before it runs out during the public release. PLUS SIZE EVENT: ERZULLIE #FIRSTLOOKHOLIDAY2013 REGISTRATION IS ON! Erzulliestas are registering for Erzullie’s First Look: Holiday 2013 collection event! We are so happy that you girls are loving this and we are excited to serve you girls! The event is happening on October 19, 2013, Saturday (6-9pm) at DOME, Eastwood City, Quezon City. Ever had that moment wherein your whole life is going well and then comes this person that will innocently (or not) just bring a little ‘spice’ into your life? It could be a relative, a friend, a stranger or just plain you. Things are going well in your life and then some drama appears. It may not really be related to what is happening to you but it happens. Sure. Not everything can be happy-happy-joy-joy. But the choice that we are facing afterwards is the important part. What do we do? Do we roll over when life tries to balance our feelings with a little sadness? I suggest that in all our might and power, we should protect our happiness. Why? Because we work hard for who we are and this is our reward --- finding a piece of heaven here on earth. You should protect it even more, if that happiness brings even more happiness for others. “We should not allow other people to dictate what we can or cannot do”, a quote that I have learned from my previous boss that until now, I apply to my life. Because it’s true. This person, no matter how close to us, is not directly responsible for who we become afterwards. In the end, it’s all about choice --- a choice to move on and embrace the good or the choice to remain and feel bad for what has happened. 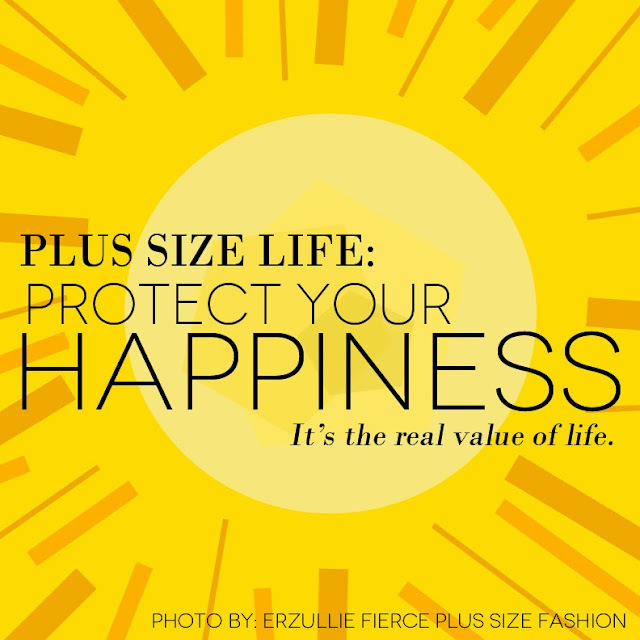 So my dear Erzulliestas, I hope that this fierce Friday, always remember “protect your happiness” because you deserve it. Every ounce. 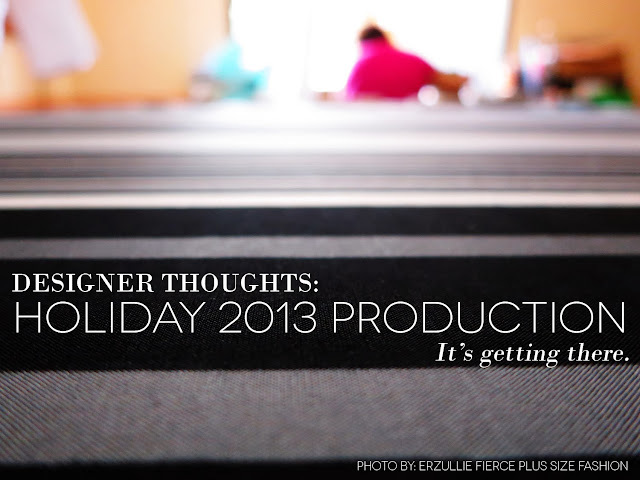 So the production of the Holiday 2013 collection is still going on. 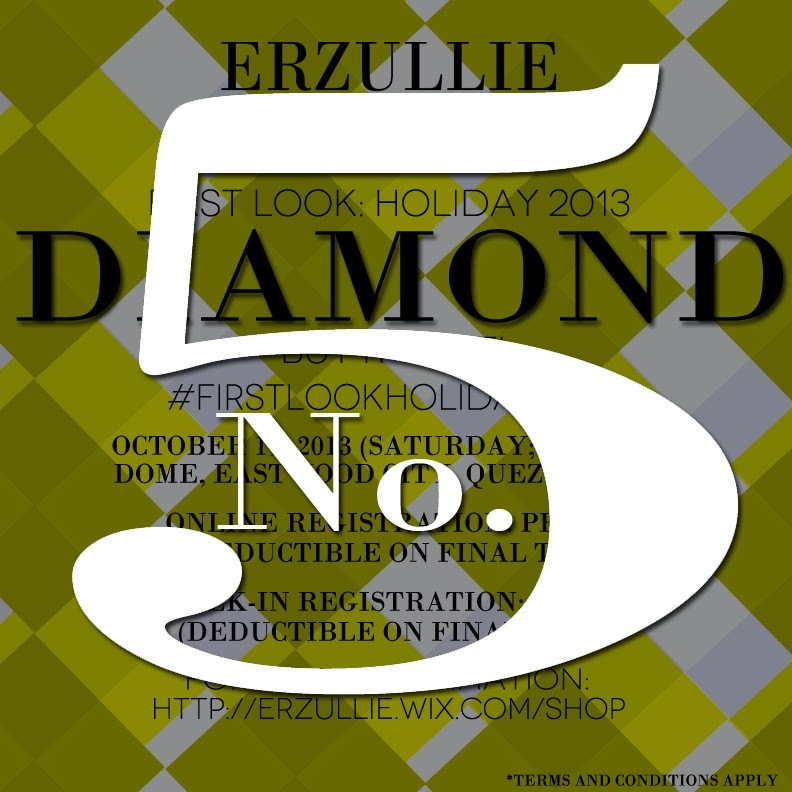 Hopefully, before Erzullie’s First Look: Holiday 2013 collection event, it will all be done already. What can we say about this production process so far? This might me the most intimate collection that Berna has ever made. It is intimate in the sense that the story is deeper and has really connected with her life as she also struggled a bit while this was all happening. First, our head seamstress passed away this year, who also happens to be Berna’s mentor. Erzullie had a hole that was very hard to fill, but we had to step up, our service of Erzulliestas will always trump whatever negative emotion or obstacle that we have right now. Next, our design studio was finally set up and well, as much as the glamour that is being projected by many, it’s a huge responsibility. We are grateful of course. For a brand of 3 years of age, we are proud to say that we are growing steadily with your help ladies. Finally, personally, I think that this is also a good conclusion for a great Erzulliesta year. The reason as to why the collection’s name is “Diamond” will be revealed during the event but to be honest, it is all about the strength of being a woman.